Quarterback Jayden Umbarger rushed for a nine-yard touchdown, with just 1:46 remaining in the fourth quarter, and then completed a two-point conversion pass to Chris Clark to complete a stunning fourth quarter rally to propel No. 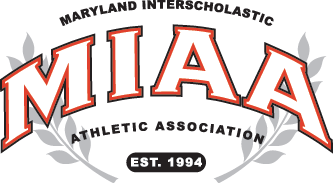 2 Archbishop Spalding to a 43-42 non-conference football victory over St. Anthony;s (NY), Friday night in Severna Park. St. Anthony’s dominated the third quarter, scoring three touchdowns to turn a 21-21 halftime tie, into a 42-21 lead, but Spalding was even more dominant in the fourth. Umbarger started the rally with a 17-yard TD run and then completed a 15-yard TD pass to Zakee Wheatley to pull the Cavaliers within seven, at 42-35. Instead of going for the tie and overtime after the final touchdown, Spalding put the ball in Unbarger’s hands and got the win. The talented Cavalier QB completed 6-of-9 passes for 68 yards in the game and burned St. Anothony’s for 138 yards rushing on 17 carries. In the first quarter, St. Anthony’s scored first, but Spalding answered immediately with a 94-yard kickoff return from Brevin Easton to tie the game at 7-7. The team’s trades two touchdowns each in the second quarter with Umbarger throwing to Stephen Cobbs for a 6-yards score and then rushing for a 24-yard touchdown to tie the game at 21. The Cavaliers never led in the contest until taking the lead with the final two-point conversation. The contest was tied three times.